Whether you’re organizing a kick-off, a banquet or any other event, we are guaranteed to have a suitable venue. 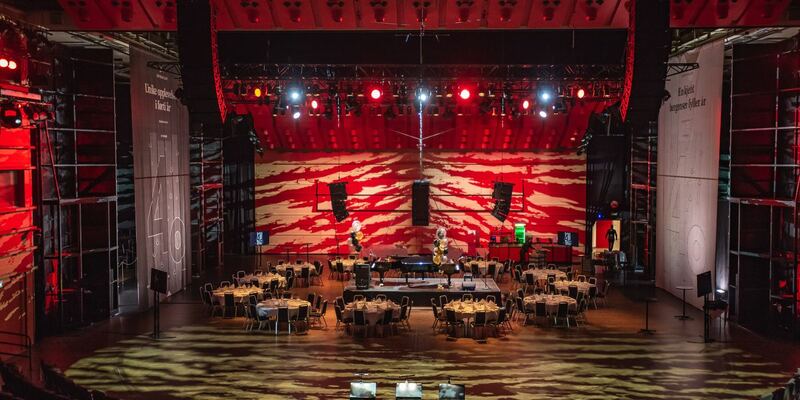 Events – whether extravagant or modest – gain a special atmosphere at Grieghallen. It is important to carefully consider beforehand exactly what you want for your event and who it will be aimed at. Our skilled project managers can provide suggestions for your event type and location, based precisely on what you want to achieve. Your event will receive our individual attention to ensure that it proves to be a success. 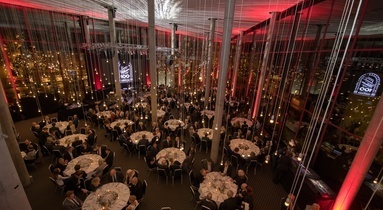 Grieghallen’s famous foyer will give the guests a feeling of sitting under a starry sky due to the thousand light bulbs hanging overhead and reflected in the expansive window panes. For a banquet, the foyer accommodates up to 950 people, but the shape of the room can also provide an intimate and charming setting for 150 people. 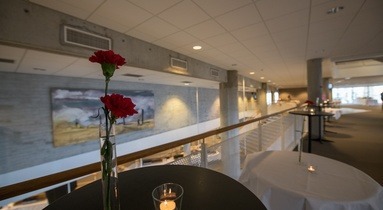 The newly redecorated Peer Gynt Hall has room for banquets of up to 500 people. We offer all of the modern audiovisual and lighting equipment you may need. 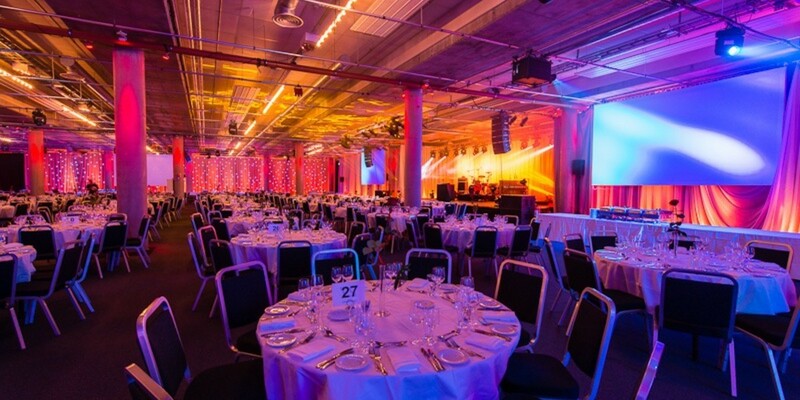 This, combined with the room’s adaptability, makes it an excellent fit for all types of events. For the largest celebration events, Dovregubbens Hall (The Hall of the Mountain King) is more than up to the task. 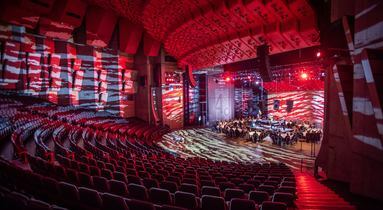 Its 3,500 square metres of floor space has the capacity for seating up to 2000 people. 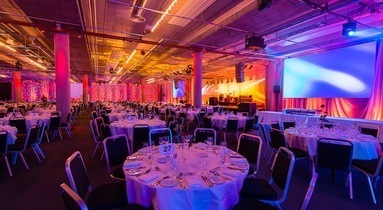 Klokkeklang and Småtroll are suitable halls for medium-sized celebration events, each with a capacity for seating 100 – 230 people. The VIP lounges, Salong Nina and Salong Edvard, can provide additional space for special occasions. 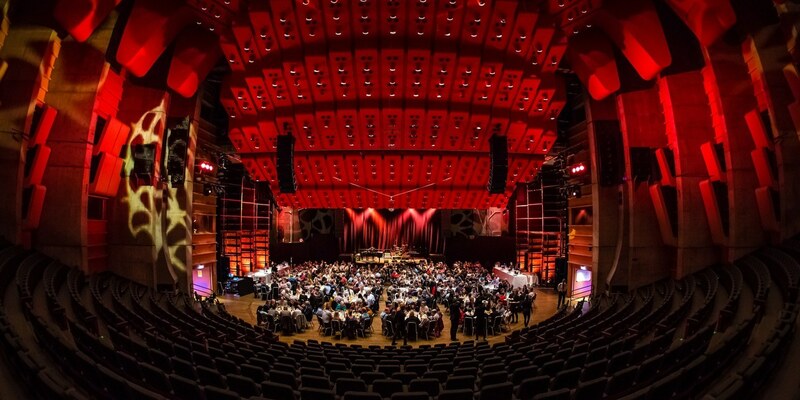 The immense stage of over 800 square metres in the Grieg Concert Hall can make your celebration a very special event. When furnished and illuminated, Bergen’s grand hall offers your guests a truly unique experience. Grieghallen’s associate “De Bergenske Servering” provides the best in catering, from simple yet delicious baguettes to extravagant banquets. 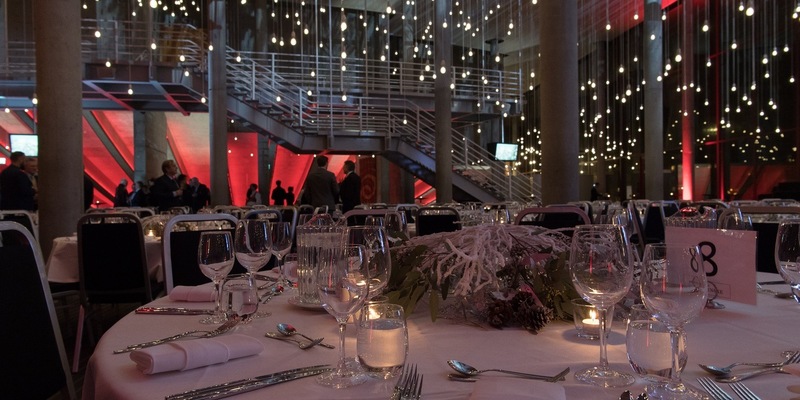 Grieghallen’s central location means that it is easy for your guests to attend your event. Public transport services stop nearby and under Edvard Griegs Plass is a large car park, which means you can arrive at the venue with dry feet, despite Bergen’s infamous wet weather. As some guests travel from further afield and need a hotel, Grieghallen is partnered with De Bergenske, which has five unique hotels in Bergen’s centre, all within walking distance of Grieghallen. 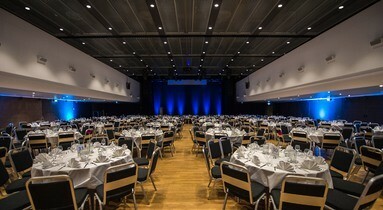 Let Grieghallen be the structure upon which you build a unique celebration.